(SP) Extremely scarce, very low print run. (R) Rare, very early or very late print. (U) Uncommon, tougher version to locate. (RPD) Recurring print defect, usually quite scarce. More than 50 new additions have been made to the . I will continue to add more as time permits. I know there are many more that have shown up over the last two years that need to be added. 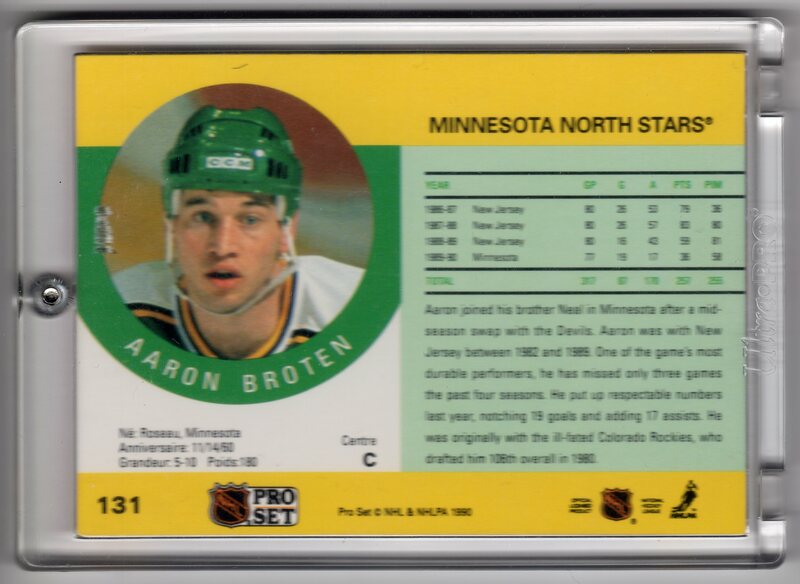 If you have any additions that you feel should be added, please post them in the comments section here or in the original 1990 Pro Set Errors & Variations Master Set Checklist blog. -The printer’s scrap cards that have flooded eBay the last few months. This includes the blacked-out cards, smeared, miscut fronts/wrongbacks, errant color tone, smudged, etc. These cards are printer’s waste and were NOT pack-issued or meant for distribution. They were cut from sheets pulled from garbage bins. While really fun to look at and collect, they should not be considered essential to a master set. –Wrong front/back cards. Again, these are really cool but are seldom found pack-issued and were usually cut from sheets found in the trash, making their way into the market illegally. –Draft Day blank back/front proofs. Great, recent discovery variant proofs for Jeff George and Keith McCants draft day subset but not pack-issued or legally distributed. “As if 1991 Topps has not already confounded collectors enough with its broad range of errors, variations, and printing oddities, one print variation may even eclipse the tough-to-find Mark Whiten, Drabek and Hoiles errors in scarcity. It is well known that the backs of some 1991 Topps cards were printed with both a bold red 40th Anniversary” design behind the player stats and a more faded version that makes the card back easier to read. All cards that were printed on the A* and B* sheets can be found with both bold and faded backs. However, some of the cards from that A* sheet can also be found with an A*B* print designation at the bottom of the back of the card. This variation has ONLY been seen on cards with the bold “40th Anniversary” back and any cards with this variation have proven to be incredibly scarce. In fact, these cards are so rare that it has been difficult to compile a complete listing.